I am a native Floridian, born in Miami, Florida (Jackson Memorial Hospital). I lived in the North Miami, Ives Estates areas most of my life. 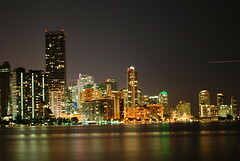 Here's a photo of Miami I took a few months ago. 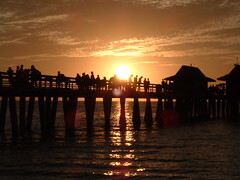 Since 1995, I have made Naples, Florida my home. Naples is a great place to live and it's only two short hours from my original hometown. 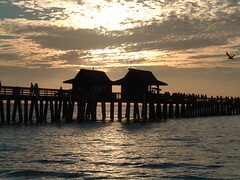 Here's some photos I took at the Naples Pier. 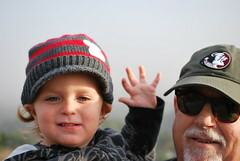 I have four sons, three of whom live in Broward County, Fl and one lives in Santa Monica, Ca. 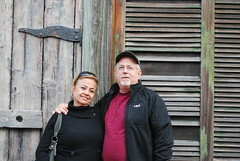 My wife, Betty Ardaya-McGuire is a Victim's Advocate for the State Attorney's Office in Naples, FL. Together, we have three grandchildren. Collier County Public School District, Naples, FL. Responsible for all phases of District Budget, including General Fund, Debt Services and Capital, Special Revenue and Grants and Internal Services Funds. Scope of budget, approximately $1 bn annually. Miscellaneous Forms and Memos related to the Budget Process, including PDF forms that can be completed on your computer. Edison State College, Fort Myers, FL. 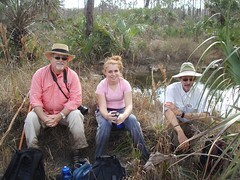 Managed College wide budgets for the former Community College, now State College, serving SW Florida. Click this Link to see the 2005-2006 District Budget Book, the last budget book I prepared for the college.